From the May timetable change there will be a new early morning CrossCountry service from Bristol Temple Meads to Stansted Airport. Departing Bristol TM at 0613 and arriving Stansted at 1141. Whilst the end to end journey isn't very practical it does provide an earlier morning service from Bristol to Gloucester. The 0630 to Glasgow Central will still be the earliest service for Bristol to Cheltenham Spa as this passes the Stansted service while it is at Gloucester. Later in 2019 this service will also be calling at Worcestershire Parkway when that new station opens. This new service has come about because CrossCountry are now stabling a Class 170 DMU overnight at Bristol Barton Hill depot. Rather than run ECS to Gloucester it's been decided to start the passenger service from Bristol TM. Clearance work for Class 170s into the Bristol area is (or has) been done. Currently the service to Stansted Airport starts at Gloucester and the unit for it is, I believe, detached from a Birmingham New St to Cardiff Central service. 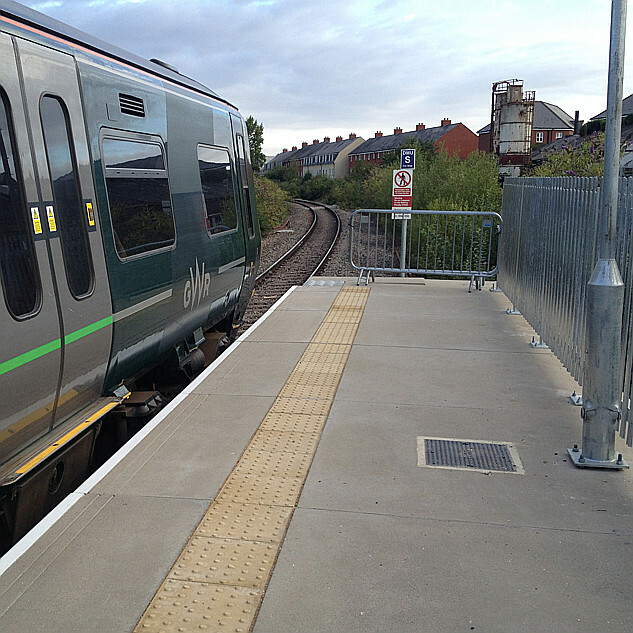 There is no late evening XC Class 170 passenger service back into Bristol TM. A new service runs 2018 Leicester - Gloucester 2235 (an extension of a current service from Leicester to Birmingham NS), which then runs ECS to Bristol Barton Hill to stable overnight. The 0630 to Glasgow Central will still be the earliest service for Bristol to Cheltenham Spa as this passes the Stansted service while it is at Gloucester. Is that (still) the 06:09 from Bath Spa? Nice to see an extra (fast) morning service from Gloucester. I was going to say that it was possibly quite handy if you were doing Bristol to Cambridge and wanted to avoid changing in London, but Trainline reckons that is 3h30 vs 5h via this service, so I know which one I'd go for. Could perhaps be cheaper not via London? Though as it's XC, probably not! The only Bristol Temple Meads to Cambridge tickets are "Any Permitted" at £257.00 (anytime return), £98.50 Off Peak and £73.40 Super Off Peak. I suspect that the route via Birmingham and Leicester may ONLY be permitted on this new train, by the "direct service" rule rather than the routing guide diagrams. I'm not a great one for taxi - prefer the local bus - but for a lunchtime start in Cambridge, I think I would wait for the 08:30 the splash out on a cab if I was short of time. I spent much of my career working several days a week in central London and discovered that when running late the Tube was normally quicker than a cab unless the destination was well off a tube line. Every few months I would persuade myself that a cab would be quicker and I would be disproved again. I've only been to Cambridge once this decade(!). It was for a weekend conference and I don't recall there being any alternatives to going through London. I think I went up on Friday night to be there in time for Saturday morning but I honestly can't remember for sure. Anyway, I definitely didn't pay £257. My apologies. I misunderstood your original comment. I've just reread this. Would I be right in thinking this means that it's effectively an extension of a current Gloucester to Stansted service, rather than a completely new service? Yes. Its just a positive side effect of changing the stabling location, north of Gloucester its the same service as now.